Get in the flow, get present, and grow! Flow leads students in relaxing mindfulness activities designed to control stress and create positive attitudes. Each time students play, they see new growth in themselves. Each exercise in Flow is designed with a specific focus and benefit - stress, attitude, behavior, or emotions. Note: Videos on behavior and emotions are available only to teachers with access to GoNoodle Plus. The About GoNoodle Plus article has more information. Release stress, improve attitudes, and create a positive classroom culture. Teach students valuable self-management strategies. Help students improve attention so they can focus on schoolwork. At the start of the school day. Before a test, presentation, or other stressful event. Whenever students seem negative or distracted. Being mindful decreases levels of the stress hormone cortisol, according to a 2013 study in Health Psychology. Mindfulness is linked with improved emotional well-being and sleep quality, according to a 2013 study by the University of Utah. Practicing mindfulness can improve compassionate behavior, according to a 2013 study by Northeastern University and Harvard University. Improving attention and focus through mindfulness practice can improve the capacity of working memory,according to a 2013 study in Psychol Psi. 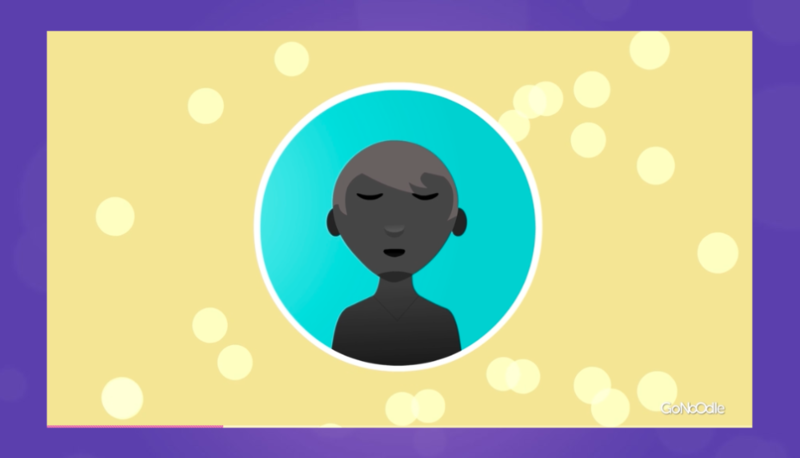 To play Flow, students participate along with a voice-led mindfulness exercise. Before playing, ensure the room is free of distraction, and that all students can hear the audio and see the screen. By playing regularly, your class will learn to better focus, manage stress, and improve their attitude. Download our Teacher's Guide for Flow, which provides integration strategies you can use to get the most from Flow in your classroom. The exercises in Flow were developed by Wynne Kinder -- a wellness educator, curriculum author, and teacher trainer with 17 years of classroom teaching experience and 10 years of experience in teaching mindfulness, social skills, and emotional balance to students. The mindfulness exercises in Flow help students learn to direct attention to the present with an open mind. Rather than worrying about what has happened or might happen, these exercises train students to respond skillfully to the present -- be it good or bad. Encourage students to take the exercise seriously and have them follow along with the voiceover audio. Regular practice of these exercises will make them feel more natural to students, and will increase the likelihood that they’ll employ them as self-management strategies outside the classroom. Rows in yellow: Available only with GoNoodle Plus subscription. Switch Change your behavior; go in a different direction. Begin Again Erase rough moments and start fresh. Twist and Turn Get unstuck from sad or mad feelings. Swirling Settle your thoughts and focus. Up and Moving Get your bodies and minds ready to move again. Light as a Feather Lift your mood from heavy to light. Victorious Stretch into strength and confidence. 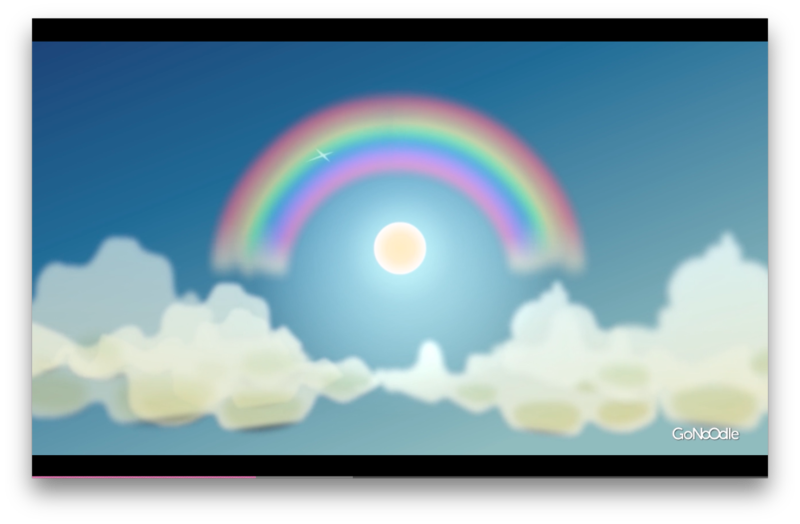 Rainbow Breath Raise your energy. Weather the Storm Visualize ways to make your day better. Bring It Down Get control of stress when it gets too high. Chin Up Look up to feel up. On and Off Turn off stressful energy to get things done. Melting Melt away a frozen feeling. From Mindless to Mindful Be in the moment.